Veteran wide receiver Larry Fitzgerald passed Jerry Rice's record for the most receptions for a single team. 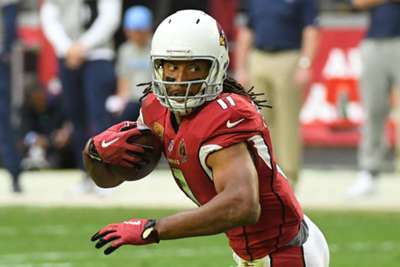 He secured his 1,282nd career reception for the Arizona Cardinals against the Detroit Lions on Sunday. The 35-year-old Fitzgerald, who is in his 15th season with Arizona, beat Rice's mark on his first catch of the game. He nabbed a pass from rookie quarterback Josh Rosen, who was just seven years old when Fitzgerald made his first reception with the Cardinals. Rice spent 16 seasons in San Francisco before making stops in Oakland and Seattle. At the end of the 2004 season – his 20th in the league – Rice was planning on joining the Broncos organisation for a one-year deal, but decided to retire.